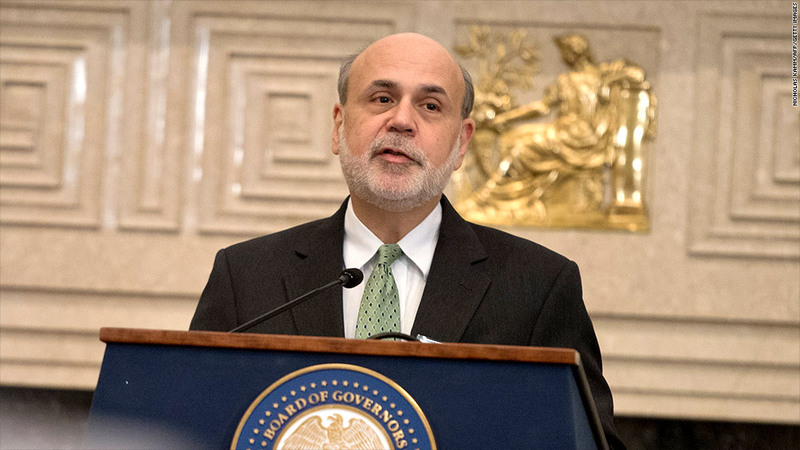 His peers credit him with mitigating the deepest recession since the Great Depression, but with less than a month to go until his term ends, Ben Bernanke is hesitant to call his eight years as Federal Reserve Chairman a slam-dunk success. "The recovery clearly remains incomplete," he said, in what sounded like a swan song speech at the American Economic Association's annual meeting in Philadelphia, Friday. Bernanke's term officially ends on January 31, at which point Fed Vice-Chair Janet Yellen is expected to take the helm. (The Senate is scheduled to vote on her confirmation Monday evening). Among the unfinished business that concerns Bernanke: the unemployment rate at 7% "still is elevated," he said. Meanwhile, participation in the labor market has continued to decline, partly because workers remain discouraged about their job prospects. As of December, only 63% of Americans over age 16 participated in the job market -- meaning they either had a job or looked for one. Before the recession, it was around 66%. That said, Bernanke was willing to cautiously defend the success of his most controversial policy. The Fed has kept its key interest rate near zero since December 2008, but when that effort wasn't enough to jumpstart a recovery, the Fed started a three-part bond-buying spree, in an effort to lower longer-term interest rates as well. That policy, known as quantitative easing, has more than quadrupled the size of the Fed's assets to over $4 trillion. Skeptics question both the impact (did it really help the job market much?) and the future risks (will pumping that much money into the economy eventually lead to rapid inflation?). Speaking to those criticisms, Bernanke said, for the most part research backs up his view: The program "helped promote the recovery." In December, the Fed decided to start gradually winding down that program. Whereas before, it had been buying $85 billion in bonds each month, the Fed will buy $75 billion this month. Over time, the central bank hopes to keep reducing the program, until it eventually gets down to zero. Bernanke said that decision reflected cumulative progress in the job market since the Fed started the $85-billion-a-month program in September 2012. Since then, the unemployment rate has fallen from 7.8% to 7%, and added about 2.7 million jobs. 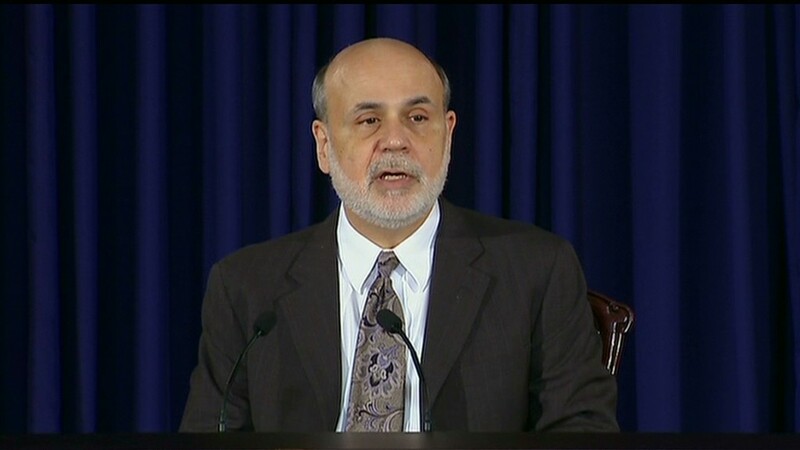 Looking forward, Bernanke said he believes various headwinds to the economy are now starting to fade. "The combination of financial healing, greater balance in the housing market, less fiscal restraint, and, of course, continued monetary policy accommodation bodes well for U.S. economic growth in coming quarters," he said. But he was quick to add some caution: "Of course, if the experience of the past few years teaches us anything, it is that we should be cautious in our forecasts." Bernanke is set to preside over one final Fed meeting, January 28-29, before Yellen's leadership transition is expected to take place.